I’m kind of into baking in mason jars right now. A recipe manifested itself onto my social media feed and I have made cakes in jars twice since then. Actually, if I’m being honest, I’m into putting pretty much anything in little jars, as they are cute and small and so convenient. With the new job and a 3-month old puppy, I haven’t had much time for baking. But this recipe takes virtually no time in preparation and an hour to bake. You just start with your favorite vanilla cake recipe and seasonal berries. 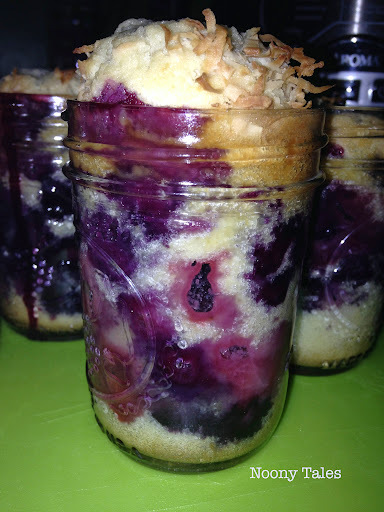 I filled 3/4 of half-pint sized mason jars with the batter and fruit. Top with unsweetened coconut shavings and into the oven they go for an hour. Make sure the jars don’t touch, so the heat circulates evenly. I didn’t have any dried beans on hand, but if you pour them around your jars in a deep baking dish, it will keep them from sliding around. I also made freshly whipped cream to top off the cakes and gifted one to my former co-worker for her birthday. Who doesn’t like receiving cakes in jars? Enjoy, Fiesta Friday-ers! And happy anniversary (belated, oops) to Angie’s wonderful blog event. She’s been a great friend and hostess. Hey, more cakes in jars!! I really should try them. Would be great for a party or picnic! Is it hard to clean the jars? You know, I didn’t even grease the jars and they were easy to clean. I want to more things in jars! Yes, yes, lots of new things. Hopefully I can party more often. I miss you guys! Lookin’ so delish and seems easy! These desserts do look so pretty in jars. Wish I had thought of this when I had to pack school lunches, but no reason I can’t enjoy them here now at home. Thanks for sharing. You’re right, never too late. If nothing else, you could just have them on hand for a decadent treat to yourself! These cakes look adorable in the jars and yes, they make the perfect can’t-say-no gift! Thank you so much for sharing these with the Fiesta Friday crowd – Happy Fiesta Friday! Thank you for visiting and commenting! Glad to meet you, hope you had a wonderful weekend. How cute are these! What a great idea!! What I love most is that the possibilities are endless. Thanks for stopping by! These look delicious and so cute! What a great idea to give to friends for their birthdays. 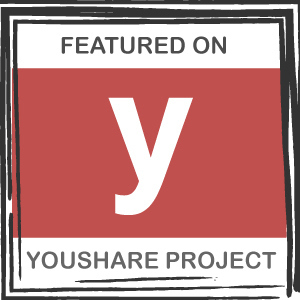 Thanks so much for sharing such a creative idea! Thanks for stopping by! Hope you get a chance to enjoy these as much as I do. I love these! How many jars am I allowed in one sitting? I think two or three? Great job on these treats, Noony! Thanks! And good to see you again. Hi, nice to meet you! Thanks for stopping by. I love any kind of food served in unique containers, I guess. It makes eating so fun. 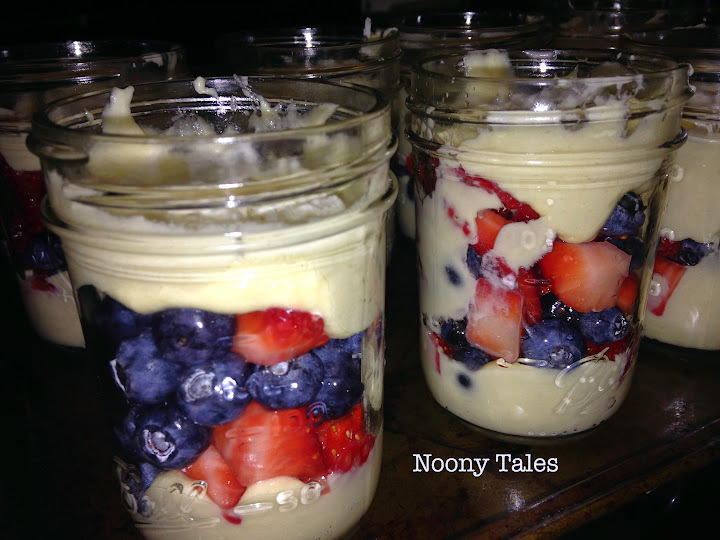 I think you need to change the name of this post, Noony…”Delicious” Little Jars of Fun would be more fitting. 🙂 I so many mason jars in my house, yet have never used them for this purpose. Thanks for sharing your recipe and the push to whip some up! Would it be piggish of me if I used my quart size jars? Thanks for bringing this fabulous dessert to the Fiesta Friday Anniversary party!